What is this thing called Philosophy? is the definitive textbook for all who want a thorough introduction to the field. It introduces philosophy using a question-led approach that reflects the discursive nature of the discipline. 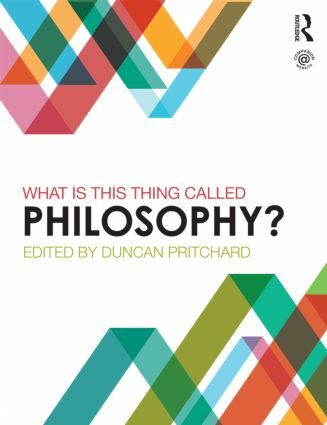 Edited by Duncan Pritchard, each section is written by a high-profile contributor focusing on a key area of philosophy, and contains three or four question-based chapters offering an accessible point of engagement. The accompanying Routledge companion website features valuable online resources for both instructors and students including links to audio and video material, multiple-choice questions, interactive flashcards, essay questions and annotated further reading. This is the essential textbook for students approaching the study of philosophy for the first time. how do we do metaphysics? can we trust scientific models? is science getting closer to the truth? is belief that God exists reasonable? must God exist for your life to be meaningful? must your life never end for it to be meaningful? how might a meaningful life be possible in a purely physical world?